NEW YORK, NY. — The Marketing Directors, Inc. has swept the 2009 Nationals SM as the Manhattan-based company has earned an impressive 23 awards from the National Association of Homebuilders (NAHB) recognizing the firm’s outstanding achievements in the industry. The awards were announced by the NAHB’s Sales and Marketing Council (NSMC) which oversees The NationalsSM, the nation’s largest and most prestigious awards competition for new home sales and marketing professionals. Award winners were selected from a field of more than 1,200 entries by a panel of industry professionals from across the country. The Marketing Directors’ 23 top awards for their region will now be in the running for National Gold Awards which will be announced at the 28th annual Nationals Gala, to be held on January 20th at Caesars Palace in Las Vegas. “Year after year our talented team of professionals shines and is recognized as the very best in the industry,” notes Adrienne Albert, CEO of The Marketing Directors, which specializes in the marketing and sales/rentals of high density developments throughout the country. Highlighting the award-winning night in Las Vegas will be the induction of Adrienne Albert into the NAHB Hall of Fame as a Legend of Residential Marketing — the first woman to receive the prestigious honor. Legend awards are presented to building and marketing professionals who stand apart as giants in the new home marketing field. Ms. Albert is nationally recognized as one of the foremost marketing and sales experts in residential real estate and is personally responsible for the marketing and sales of over $29 billion in residential sales. She is widely acknowledged as the visionary in real estate marketing and sales, constantly bringing new innovations to the industry. The top project awards for The Marketing Directors includes Attached Community of the Year, Best Marketing Campaign for a Green Built Community, Best Brochure, Best Color Advertisement and Best Attached Home Plan for Visionaire, a “Green” residential building rising in Battery Park City; Best Graphic Continuity, Best Black & White Advertisement and Best Website for a Community for Platinum, a luxury condominium building in the heart of Times Square; Best Brochure for a Community for The Setai, a collection of luxury condominiums in downtown Manhattan; Best Brochure for a Community and Best Black & White Advertisement for Palmer Hill, a new collection of luxury townhomes and single-level condominiums ideally situated where Old Greenwich meets Stamford in Connecticut; Best Black & White Advertisement for Kalahari, a striking new building featuring state-of-the-art “green” residences in Harlem; and Best on the Boards Logo for Hudson Harbor, a new luxury development in Tarrytown, NY. Individual Marketing Directors professionals singled out with awards include Martin Brady for Sales Manager of the Year; Eugene Cricco, Ella Quiban and Richard Sackman for Sales Person of the Year; Brandon Ochs & Cheryl Byrne for Rookie Sales Person of the Year; and Sales Team of the Year for the teams at Visionaire, The Setai, 50 Columbus (luxury rentals in Jersey City, NJ), and Gull’s Cove (luxury condominium development in Jersey City, NJ). The NationalsSM – which originated as the MIRM Awards in 1982 – recognizes superior new home sales and marketing achievements. The nation’s largest competition, The Nationals’SM awards ceremony is held each year as part of the National Association of Home Builders (NAHB) annual International Builders’ Show (IBS). The Marketing Directors is a full service marketing and sales/rental organization specializing in new homes and recognized as a national leader in high density residential development serving many of the industry’s most prominent developers across the United States and Canada since 1980. The company is led by founder Adrienne Albert, who will be inducted into the NAHB Hall of Fame as a Legend in Residential Marketing in 2009. David Tufts leads The Marketing Directors, SE formed in 2007. Jacqueline Urgo leads the NE operation. 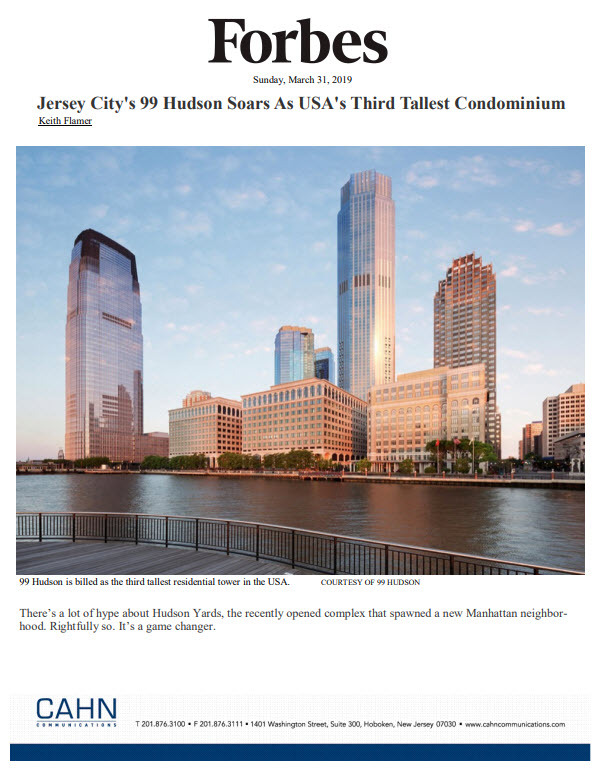 The Marketing Directors presently represents condominium developers in markets such as New York, New Jersey, Connecticut, Georgia, Florida, Alabama and North Carolina. The company has conducted over $60 billion in home sales.